Go a little off-track with these super amazing matte nail colours this cold season. Change in season calls for a change in fashion because why not! We all want to try something new, different and something that will make us stand out fashionably. This winter when changing your wardrobe is on your mind, why not give your nails some change too? These winters opt for these 5 very uncommon yet absolutely fashionable matte nail colours. Why matte? Because they are trending, aren’t they! 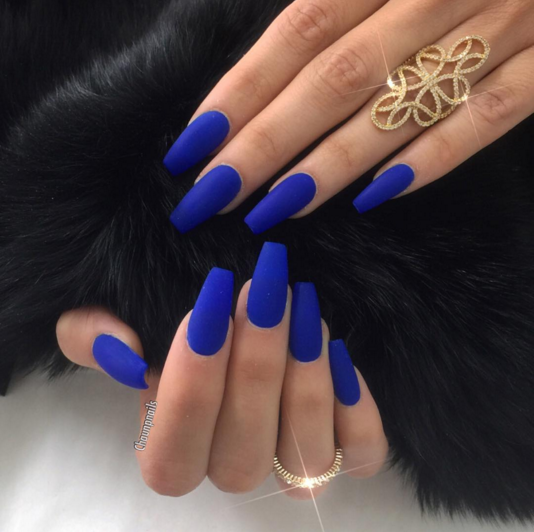 The royal blue nail colour might look a little OTT in a glossy finish, but the matte one simply oozes of regal glam. The colour is so lady-like and royal when worn with a party gown yet so funky when worn with a simple pair of t-shirt and jeans! Burgundy nail colour with a matte finish will definitely give your look an element of grace and feminity. 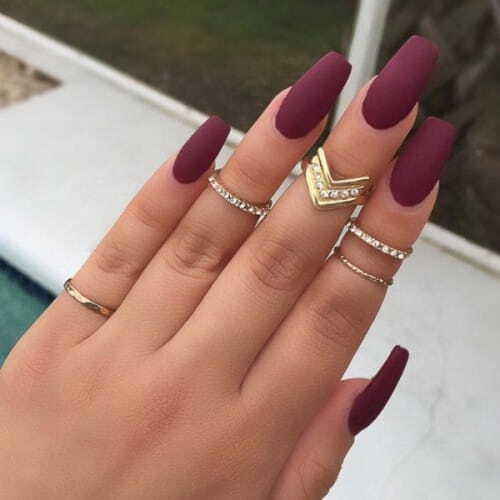 Trust us when we say this, burgundy nail colour, whether of matte finish or a glossy one, is ageless! Flaunt it anywhere you like – on simply outfit of denims and tee for a movie date with your family, a brunch-date with your girl-gang, a late-night club-hopping with your group of friends or even at a usual day at work. This cold and grey season, bring in some sunshine by opting mustard-hued matte nail colour. 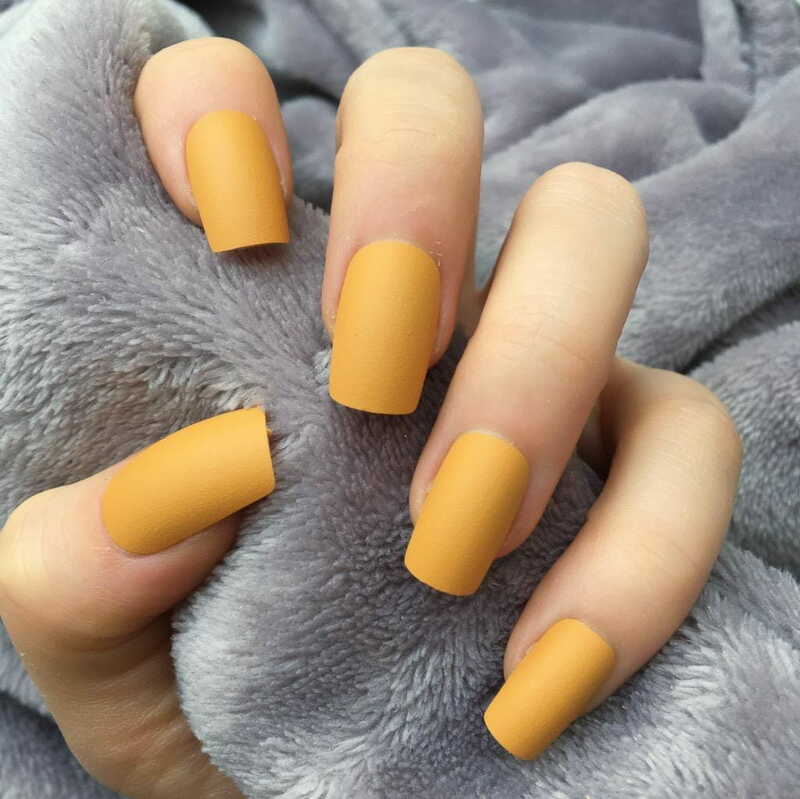 The beauty of this colour is that it is the perfect amount of yellow without being absolutely popping; you can wear this one for the day-long date with your partner or as your daily nail colour to carry your personal muted sunshine on your fingers. Who says grey nail colour is not a thing? 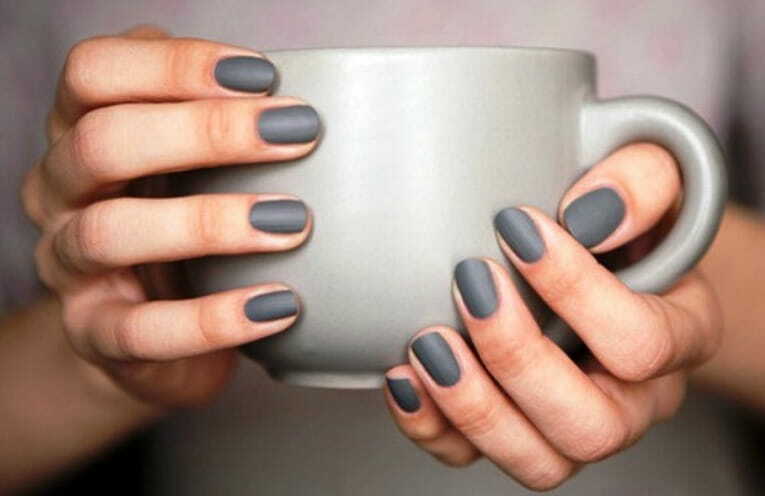 Did you know any monochromatic nail colour, which includes a matte grey one too, actually makes your hands’ skin glow and make it look supple? 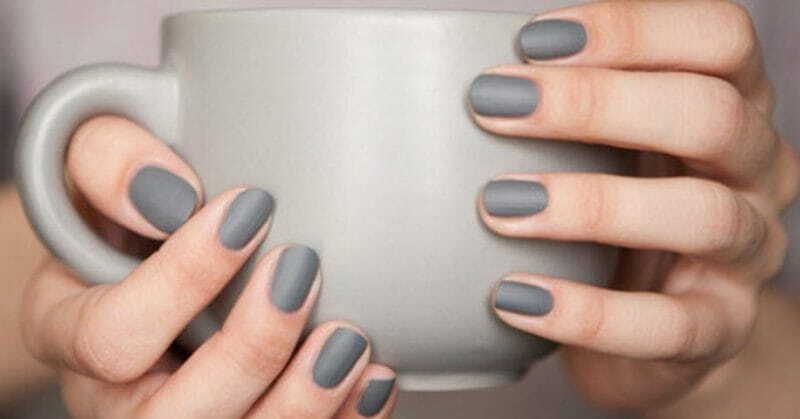 This winter, put on a grey matte nail colour. This may not contrast the cold and muted weather of the season, but will definitely make you stand out. The beauty of this colour? You can wear it any day of the year! 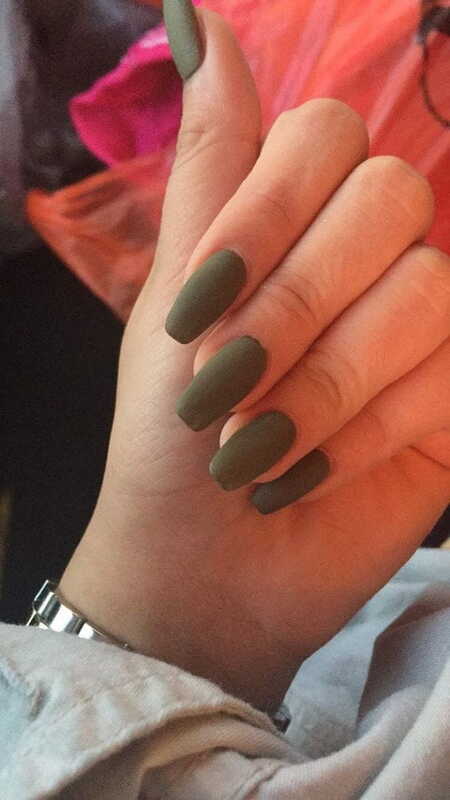 Many irk away from this shade but olive green matte nail colour has become a trend at night parties and such events! You want something dark to your nails to go with your dark outfit for clubbing but want to go for something else than black? This nail colour is your thing! Make sure you pamper your hands with a manicure before opting for this nail colour; it looks different on different skin tones. Are You Getting Enough Sleep? If Not, It's Time You Do!